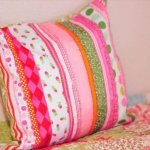 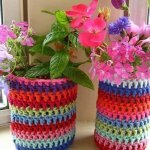 Every home section need to well decorated and furnished per their demands so that they can contribute good part to make your over all home decor really impressive. 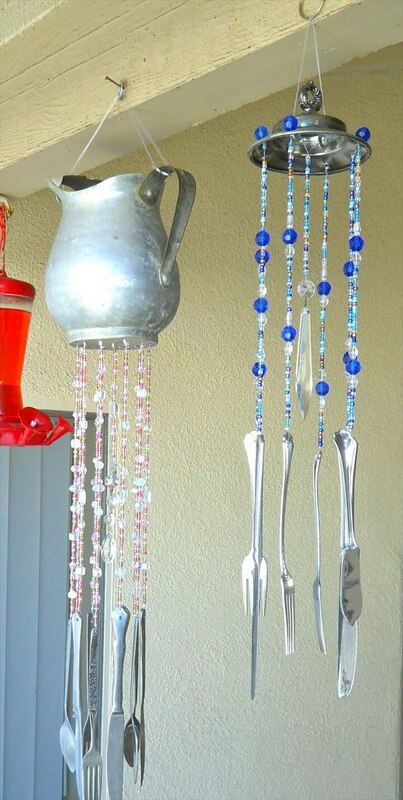 This embellishing rule equally applies to the indoor as well outdoor section of the house. 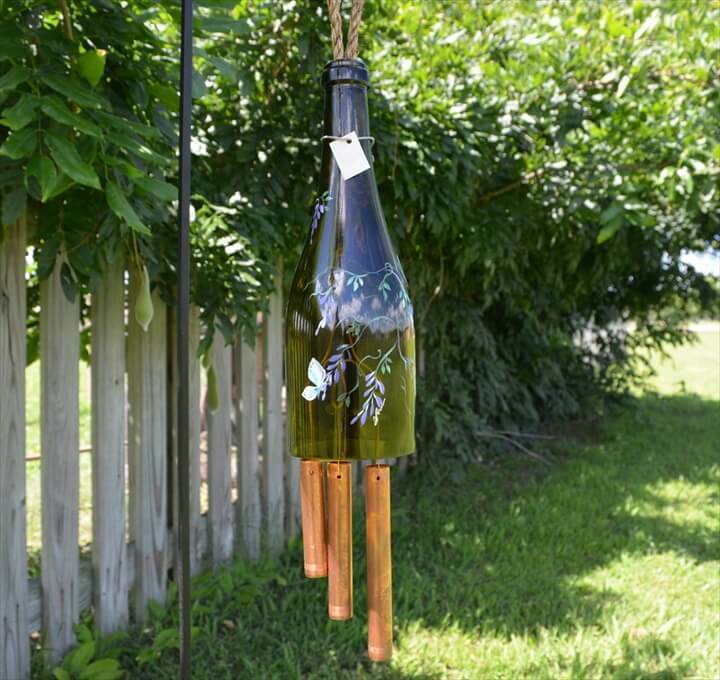 And there are some signature decor pieces which are like compulsory or common to have there lplanters for garden, DIY wall art piece for the walls and the DIY wind chimes for the patio or backyard decor. 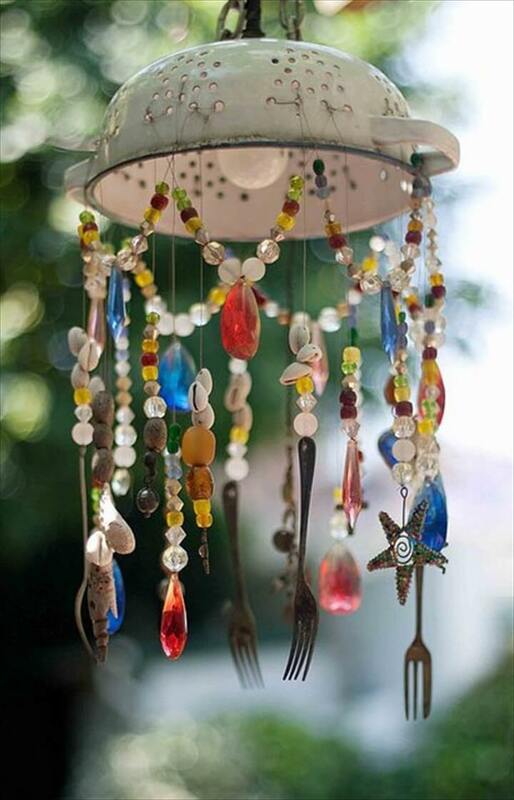 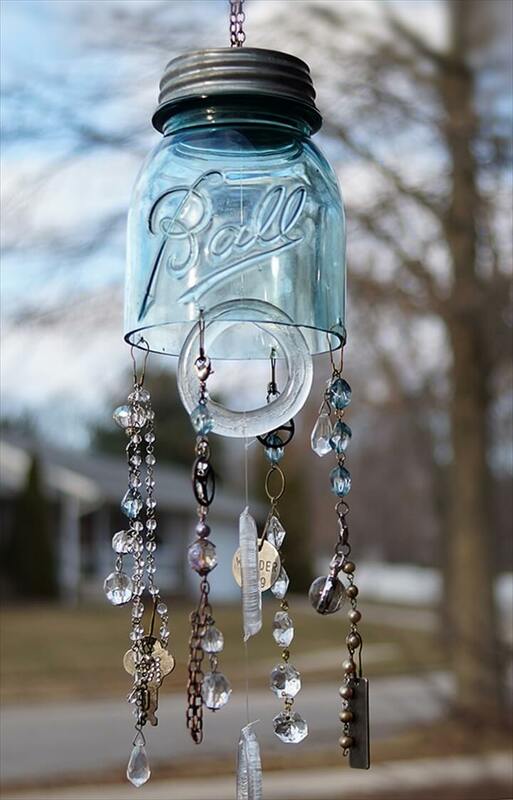 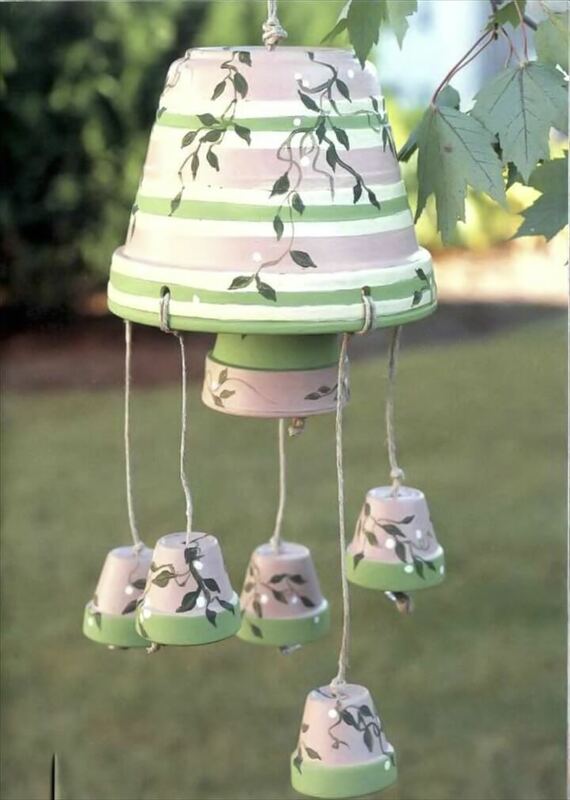 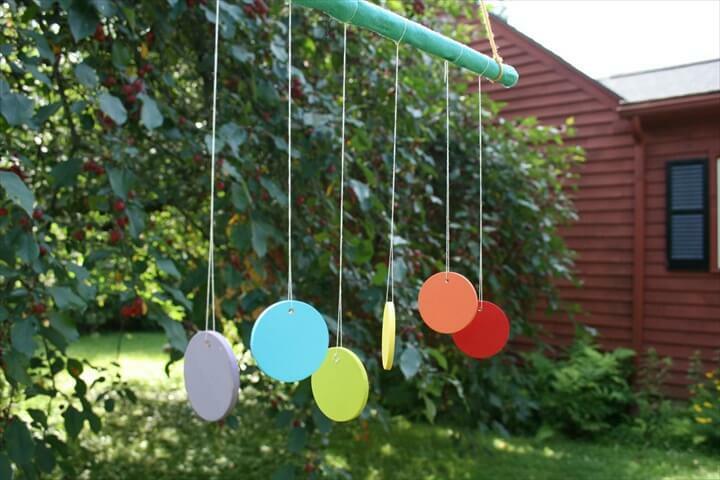 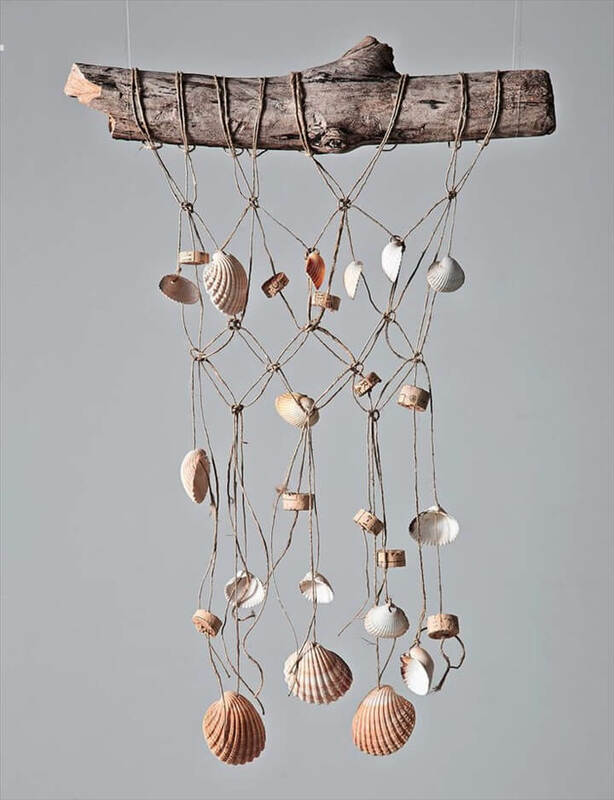 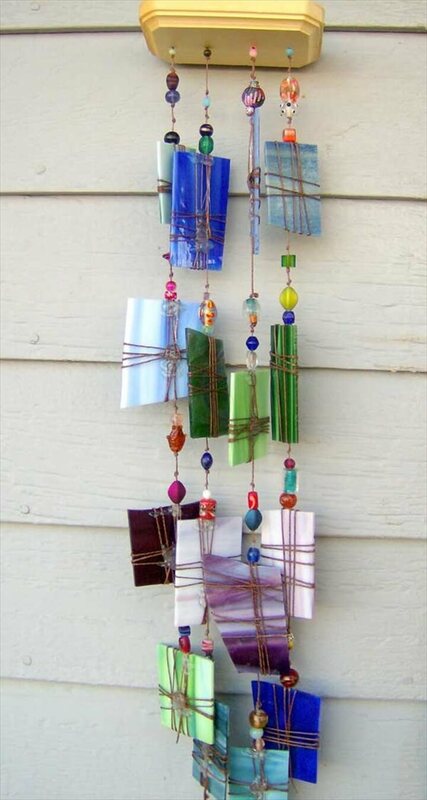 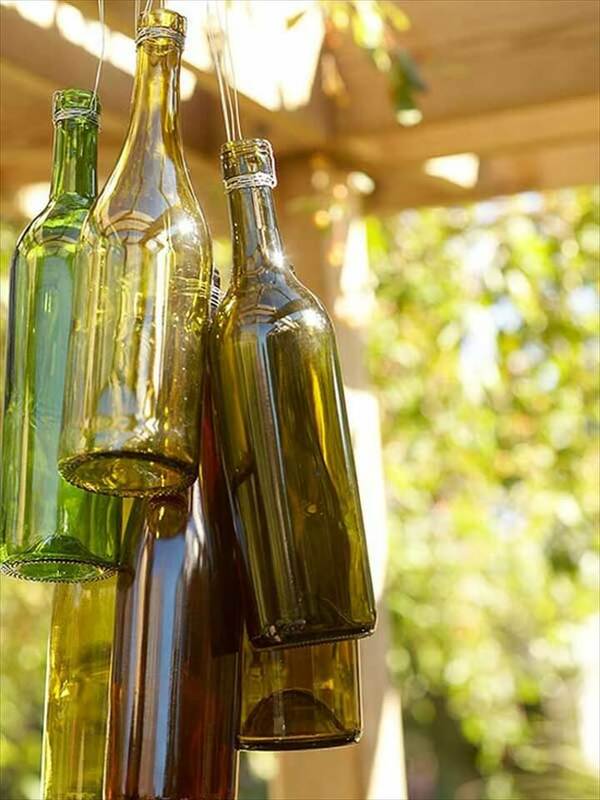 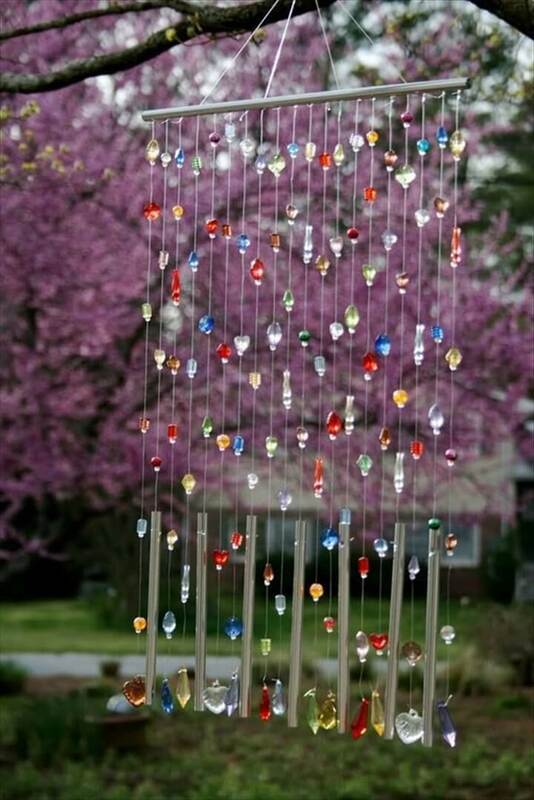 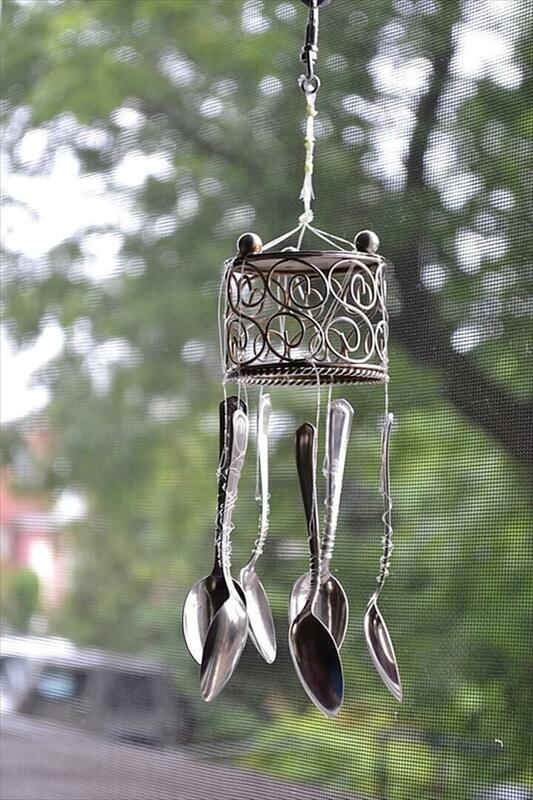 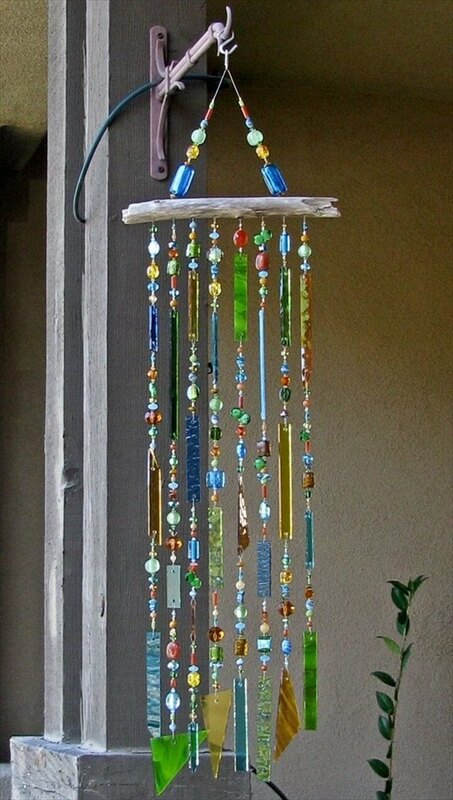 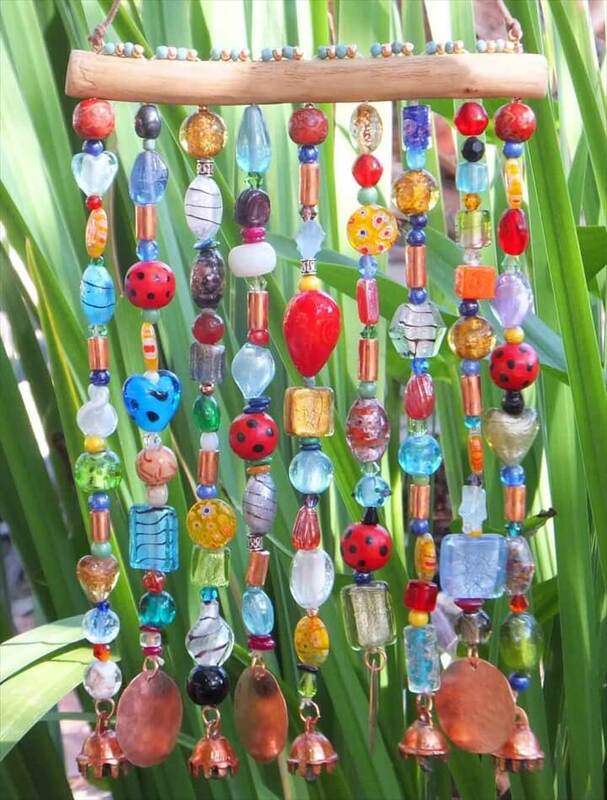 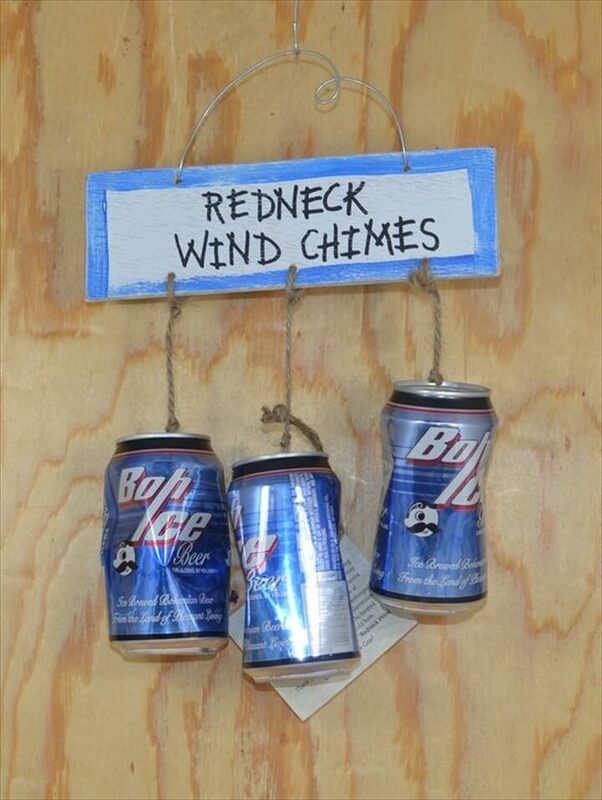 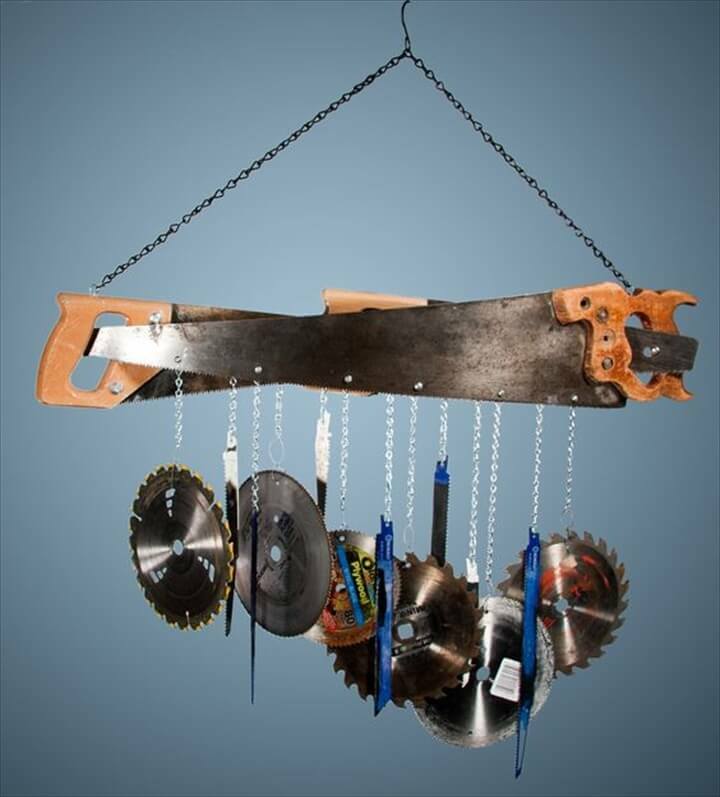 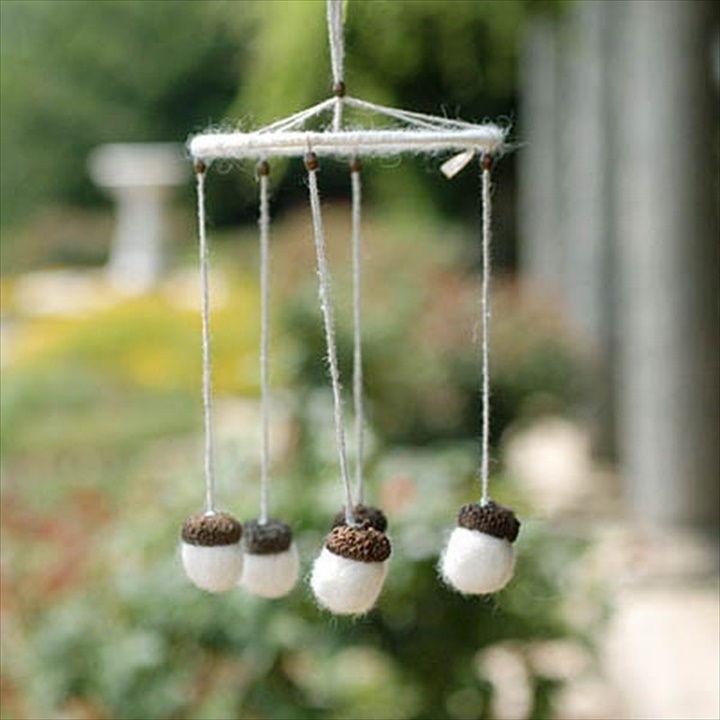 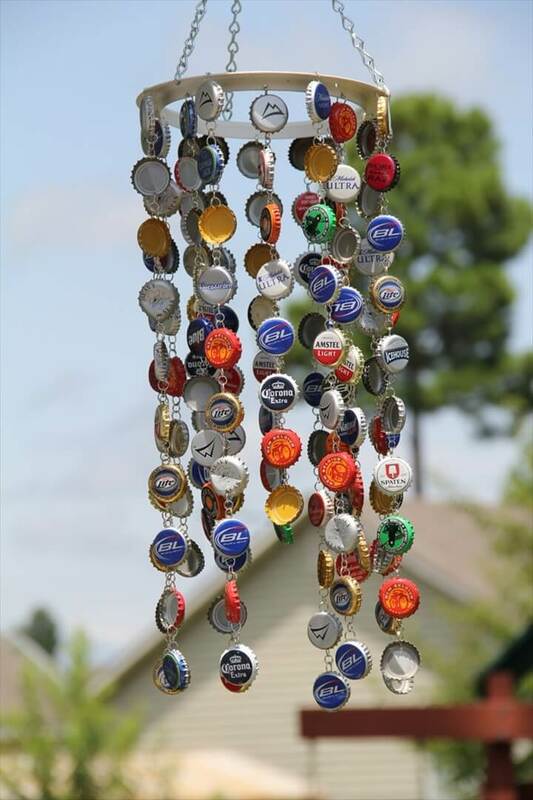 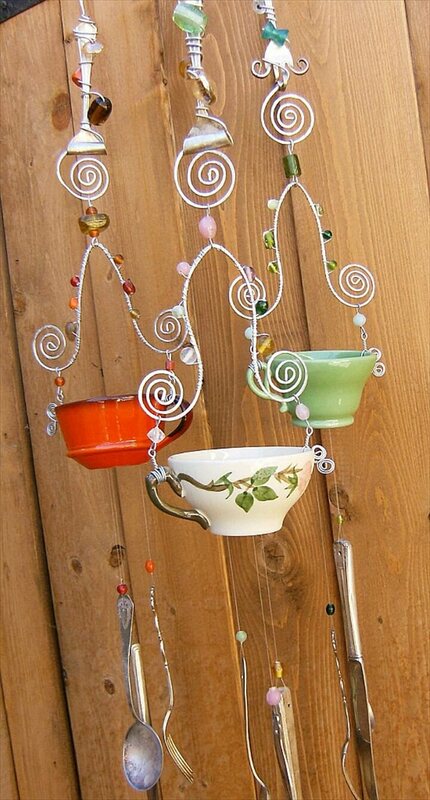 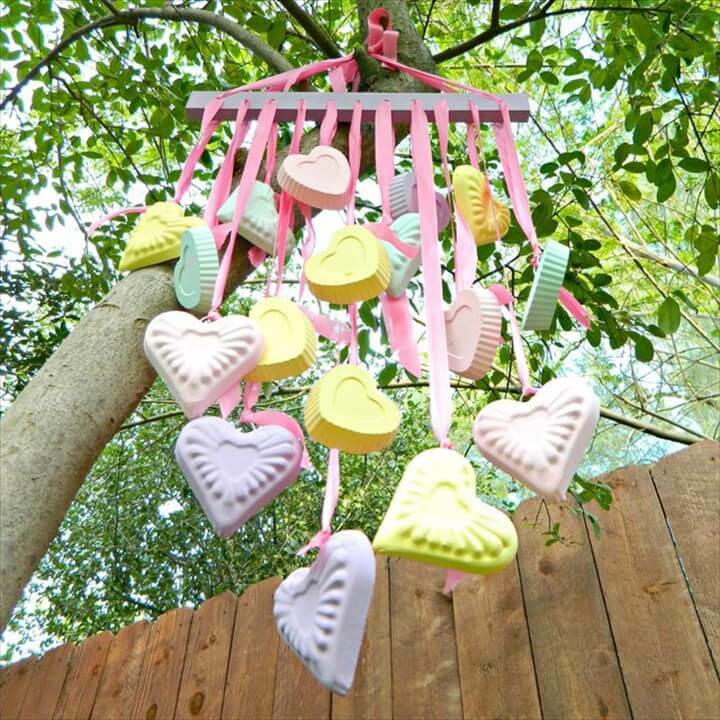 So do you have a cool wind chime design in your patio space? 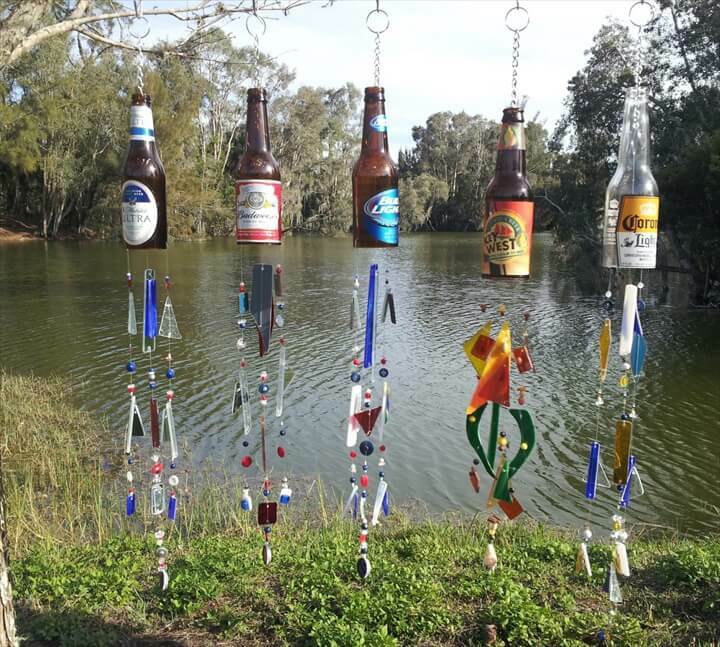 If not then you are just at the right place at right time as we got some really feasible and fun wind chime ideas right here. 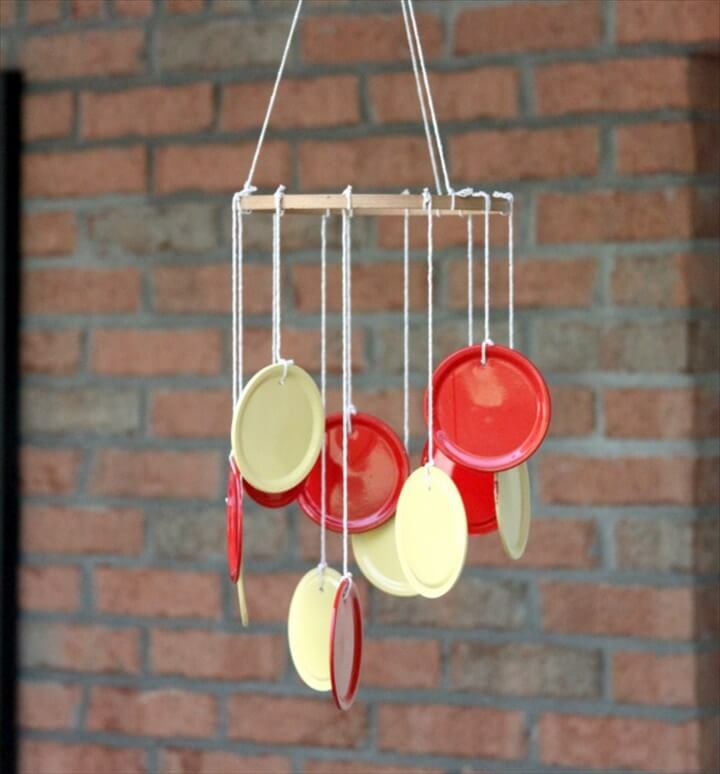 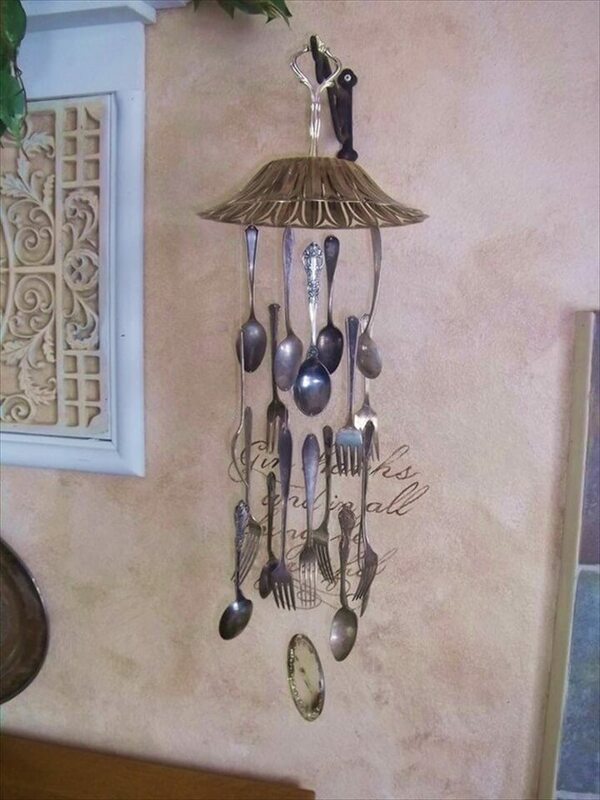 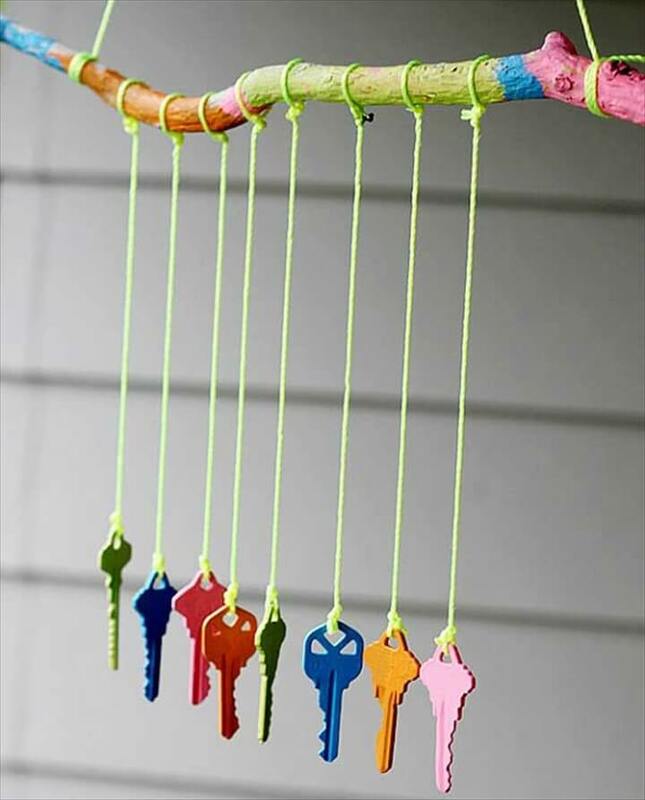 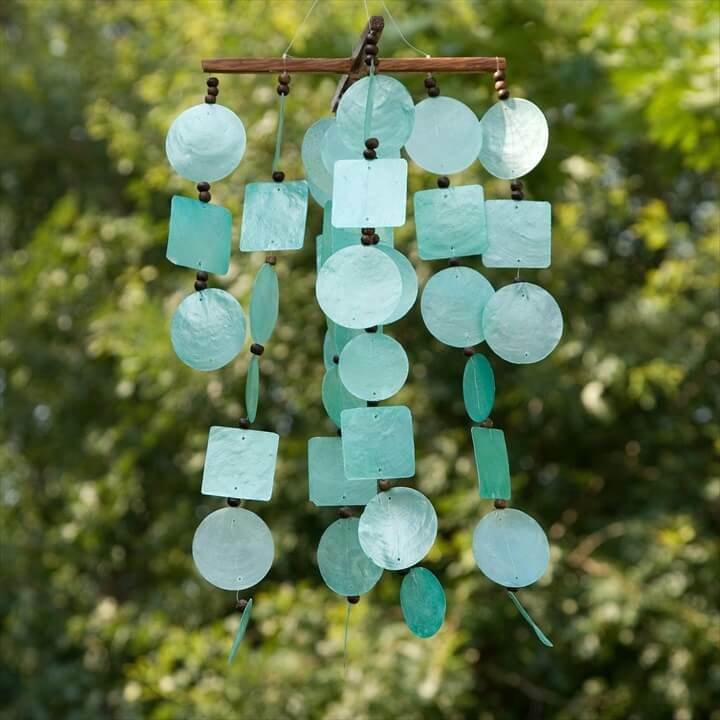 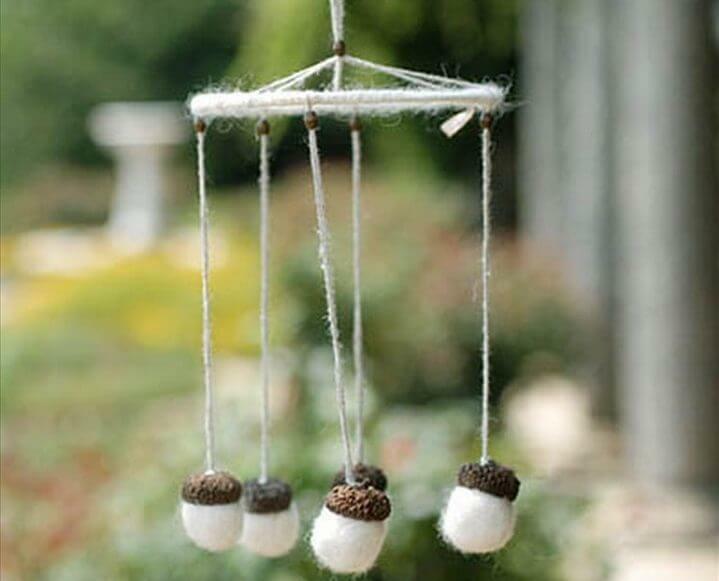 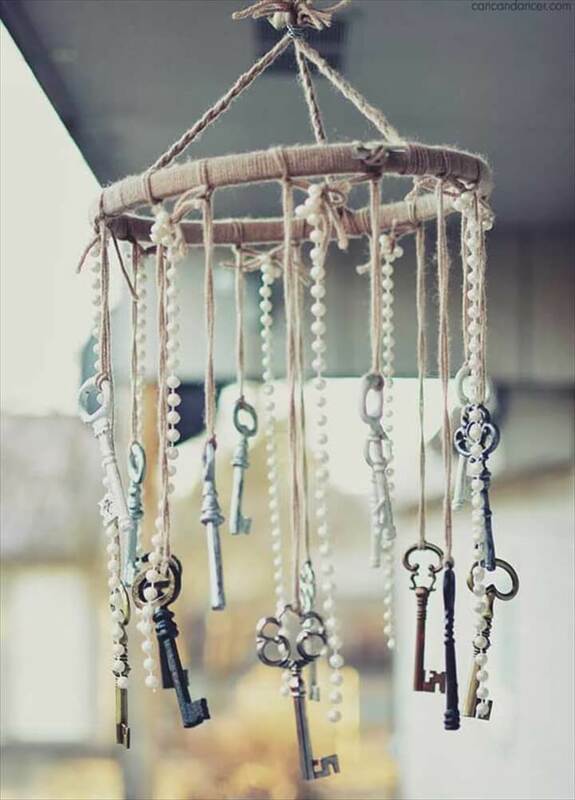 These 40 DIY wind chime ideas are super easy crafts to do at home and that too with many retired home supplies that are waiting to be tossed off. 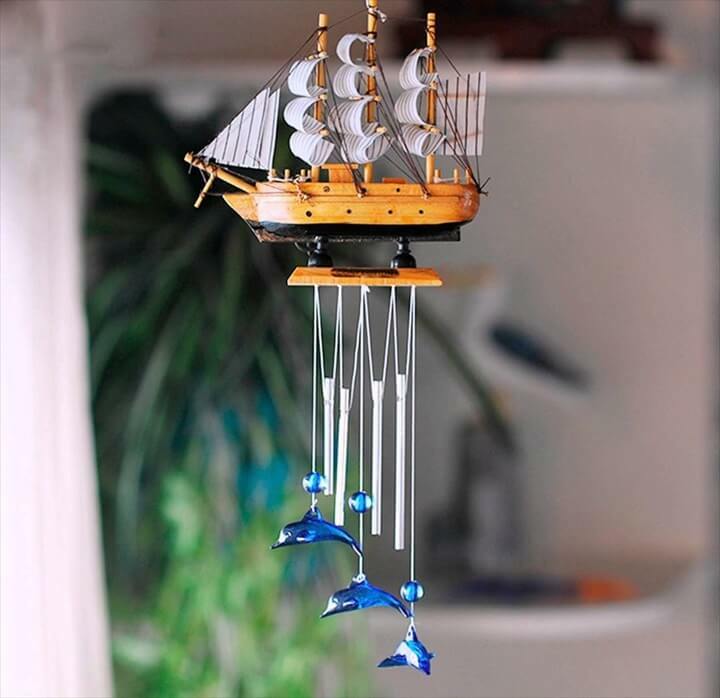 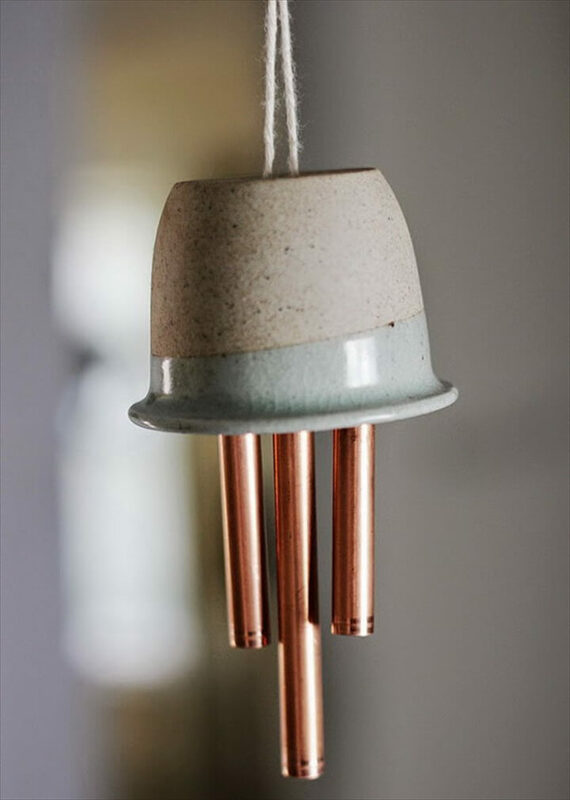 From each and every thing to anything that is resting in your house without further functional roles to be performed can be used to install these whimsical wind chime pieces to produce some melodious music when the wind would strike them. 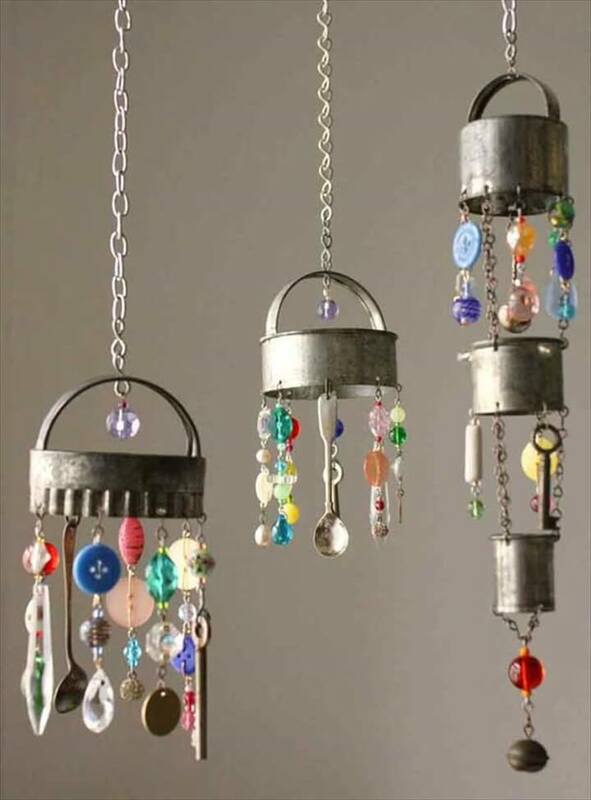 From the kitchen waste like empty bottles, jars, cans, cups, spoons to other knick knack stuff like beads, candies, pencils, bottle caps and mirror pieces all have been shown making these adorable wind chimes right below so do have a look at all of them.